The evidence is conclusive: Americans are severely overworked and undervacationed. Their intense work regimens are endangering them, both physically and mentally. So we created a preservation campaign with a twist: In Save The Americans, the animals of Costa Rica are reaching out to save endangered Americans. By offering their country as a sanctuary for the overworked, perhaps they can restore balance to America’s work/life balance. Learn how overwork and a lack of vacation are endangering American workers, and see how Costa Rica can help provide relief. 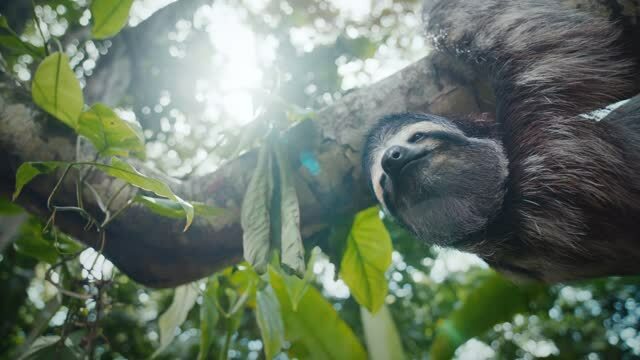 Over 30 long-form videos reveal how Costa Rica can offer sanctuary for the overworked. Users can explore by region or by activity type. There are seven regions in Costa Rica, and we dive deep into each one, showcasing main attractions, revealing hidden gems, and providing tips and itineraries. Overworked Americans are constantly on-the-go, so we created the site to be tablet and mobile-friendly. Overworked Americans were surprised with a new view and the opportunity to win a free trip to Costa Rica. Out-of-home executions placed in various cities. This 10' x 7.5' sand sculpture was placed near the Wall Street Bull to remind overworked New Yorkers to slow down.